Facebook has a vision for the view of tomorrow’s mobile advertising. 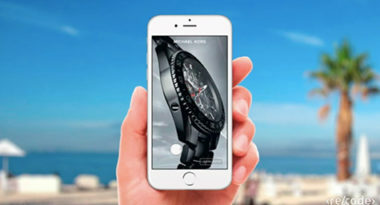 The company previewed its mobile concept at Cannes Lions in France. The anticipated mobile ad format would show advertiser content in the same way it now displays publisher content. For now, this is just a premise and not a promise, but it’s an inspiring indication of how Facebook mobile ads may look. For a peek at how these mobile ads would serve the interests of social media marketing experts, Recode.net shared this virtual vision. Facebook foresees its future mobile ads to blend the best of its current ad products. These ads would feature a full screen of branded images, videos, and detailed product pictures that users could interact with by simply swiping the screen. They would essentially give advertisers their own mini websites within the Facebook app and let users engage with the brand without ever leaving the network. Facebook used this strategy with its news stories to let users view content from publishers while staying on the social media site. Now, it seems Facebook is simply applying this method to content provided by brands. It’s important to realize that 94% of Facebook’s revenue comes from advertising, with three-quarters of this figure from mobile devices. And more than half a billion people only visit Facebook each month from their mobile devices. With mobile’s ever-increasing momentum, mobile advertising is bound to become Facebook’s primary stream of ad revenue in the coming years. To leverage this opportunity, these mobile ads were clearly designed to meet the needs of advertisers by giving their brands their own virtual platforms within the social media platform. Remember, this mobile advertising format is far from fruition for now. In the meantime, Facebook is focused on getting feedback on this mobile ad vision to see if it’s viable and valuable. Tap into the latest in mobile advertising. Contact MDG Advertising. MDG Advertising, a full-service advertising agency with offices in Boca Raton and New York, NY, is one of Florida’s top branding firms. MDG’s core capabilities include print advertising, direct mail marketing, branding, logo design, creative, digital marketing, media planning and buying, radio and TV advertising, website design and development, online video advertising, mobile advertising, email marketing, content marketing, social media marketing, and SEO. To learn about the latest trends in advertising and branding, contact MDG Advertising.